WRI Ross Center for Sustainable Cities’ work would not be possible without the generous support of its many donors around the world. The Center was established by a generous donation from Stephen M. Ross Philanthropies, building on the strengths of EMBARQ’s sustainable urban mobility work. We especially acknowledge the contributions to our cities and transport work from Bloomberg Philanthropies, Caterpillar Foundation, Children’s Investment Fund Foundation (CIFF), Citi Foundation, FedEx, Johnson Controls, Oak Foundation and Shell Foundation. WRI Ross Center for Sustainable Cities is a program of the World Resources Institute (WRI). Learn more about WRI's donors in the most recent annual report. Bloomberg Philanthropies generously supports the EMBARQ sustainable urban mobility initiative to implement programs that prevent death and disability from road traffic crashes. Other members of the Bloomberg Global Road Safety Program include the World Health Organization, Johns Hopkins Bloomberg School of Public Health, World Bank Global Road Safety Facility, Global Road Safety Partnership and Association for Safe International Road Travel. For more information, visit www.bloomberg.org. The Caterpillar Foundation is the philanthropic arm of Caterpillar Inc., the world’s leading manufacturer of construction and mining equipment. The Foundation supports WRI to advance the progress of environmentally sustainable and livable cities in China, India, and Brazil. For more information, visit www.caterpillar.com/foundation. 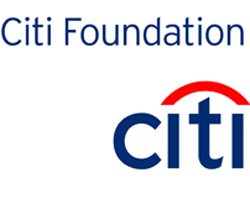 The Citi Foundation works to promote economic progress and improve the lives of people in low-income communities around the world. Citi Foundation supports a new joint initiative with WRI Ross Center for Sustainable Cities and the C40 Sustainable Infrastructure Finance Network to think about new ways to deliver and finance urban services. For more information, visit www.citifoundation.com. FedEx provides customers and businesses worldwide with a broad portfolio of transportation, e-commerce and business services. The company provides substantial financial and in-kind support to EMBARQ to provide technical expertise on sustainable transportation projects that improve quality of life in Brazil, China, India and Mexico. For more information, visit www.fedex.com. Johnson Controls is a global multi-industrial company, and among its many strengths is recognized for being a leader in providing building efficiency solutions. Johnson Controls partnered with WRI to launch the Building Efficiency Initiative as part of WRI Ross Center for Sustainable Cities, to support the Energy Efficiency Accelerator Platform, under the UN’s Sustainable Energy for All Initiative as well as other global building efficiency activities. Oak Foundation commits its resources to address issues of global social and environmental concern, particularly those that have a major impact on the lives of the disadvantaged. Oak Foundation provides core support to develop WRI's EMBARQ sustainable urban mobility work in China. For more information, visit www.oakfnd.org. Shell Foundation’s mission is to develop, scale up, and promote enterprise-based solutions to challenges arising from the impacts of energy and globalization on poverty and the environment. Shell Foundation provided seed funding that established EMBARQ in 2002 and remains a continuing supporter of the sustainable urban mobility work. For more information, visit www.shellfoundation.org. Stephen M. Ross is the Chairman and Founder of Related Companies, and a dedicated WRI Board member. He has long been passionate about city-building and believes that well-designed cities can transform how people live by creating conditions where all people can thrive and innovation can take hold. For more information, visit www.wri.org/profile/stephen-ross.